Tried to add photo but no luck. I have the 2x3. 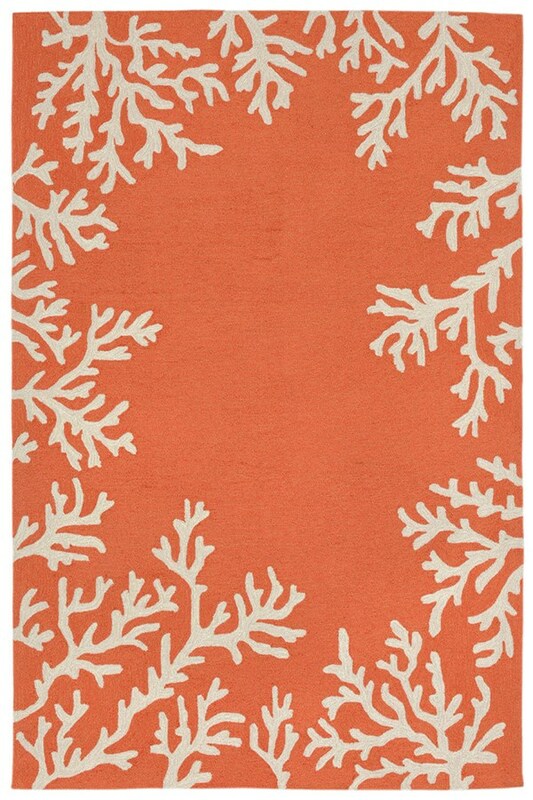 This is a nice rug, although the color is more muted than it appeared on my screen and the coral design on the border is disappointing. 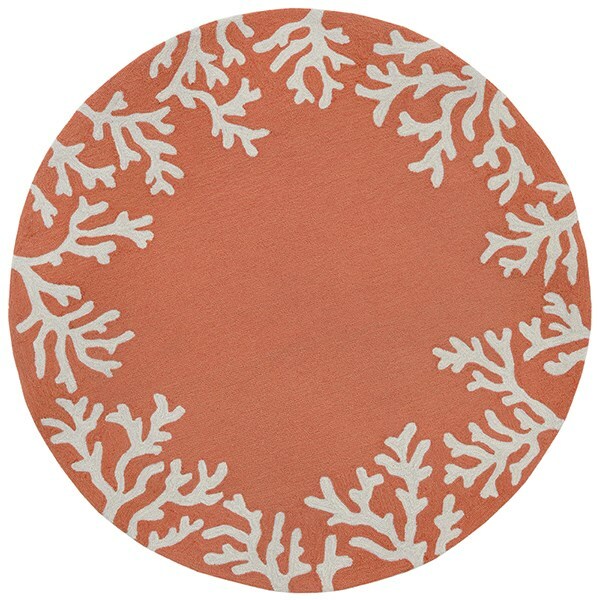 In this small size, the design is of the ends of the coral pieces, not a smaller version of the entire branch. The result is short, fat pieces of coral.?? Still, it adds a nice splash of color in the tucked-away toilet/shower area. 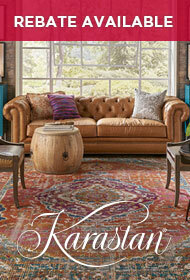 I really enjoy the color and pile on this rug! I purchased it on a,sale, and it does not disappoint! 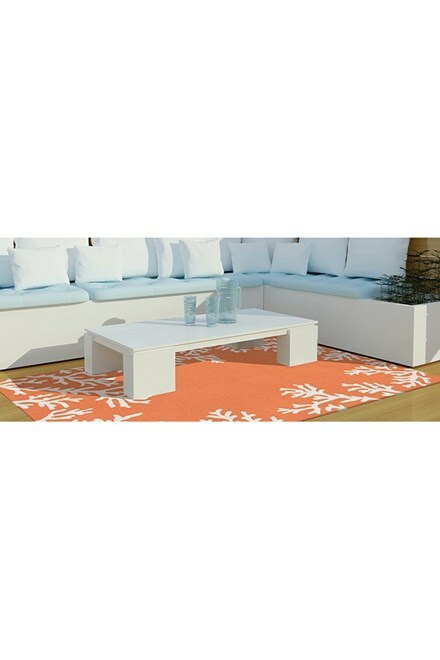 The color is true to that pictured, but much more pleasing in person! 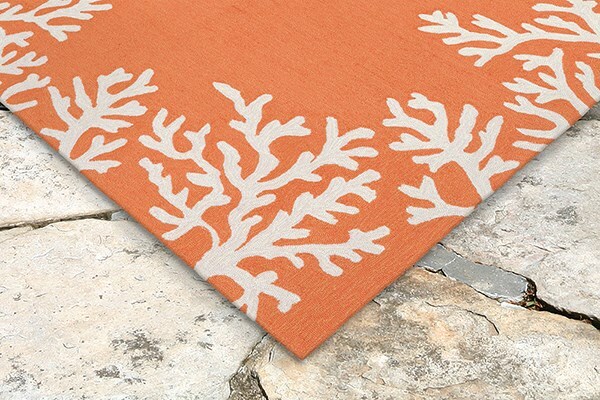 My bedroom is a coastal theme and it just pops with color and is nice on bare feet in the morning!